Retirement living at it's best. Popular 2 bedroom, den and 2 bath split bedroom model offers many desirable upgrades. Cherry cabinets, quartz counters, disposal, new dishwasher, RO system,range oven and built-in microwave. 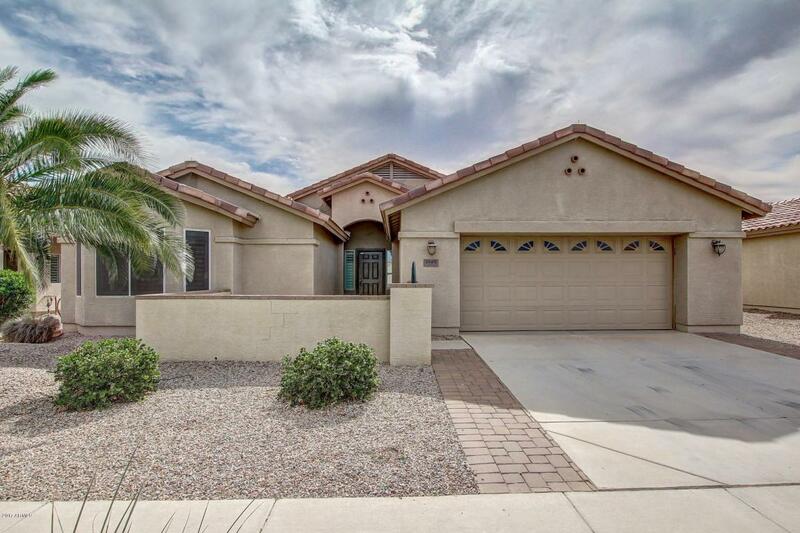 Spacious master has bay window with shutters, vaulted ceiling, walk-in closet, and fan with a light. Master bath has easy access tile shower, separate toilet room, raised vanity and double sinks. Full fencing to keep dogs contained when outside. Front courtyard, backyard garden, full length back patio and surround sound system. 2-car garage has epoxy floor and built-in cabinets. NEW Lennox AC installed on 02/26/2015, New Dishwasher & New Water heater on 03/06/2015. On Q security system in home. Beautiful home ready for new owners.